Retail, Online and Network Based Florist.One stop floral demand for any occasions.Flower Arrangement and Delivery for Weddings, Funerals, Events and Offices. Compared to other occasions, the extraordinary amount of time, effort, and thought put into planning the best wedding ever is indicative of the value laid upon it by many people. Weddings are special because they're ideally supposed to happen only once in a person's life. Unlike yearly birthdays, there's not much room for error or miscalculations when it comes to making wedding arrangements. From the dresses to the venue to the guest list all the way to the food that is going to be whipped up on this special day, everything has to be right. Part of making events like this look and feel right is by making sure that the flower arrangements for weddings capture the beauty, drama, and significance of the union between two people in love who, in the presence of their family and friends, profess their vows to remain together forever. Flowers play a key role in the entire ceremonies, it's difficult to imagine how weddings could be carried out without them. l Perhaps the most important and obvious thing to consider when looking for flowers to use in a wedding is their quality and freshness. There's simply no other way to go about this other than by ensuring that on this most special day in your life, you will not settle for anything less than perfect. l The flower arrangements to be used must complement the overall look or theme of the wedding. Careful attention must be given to the way the flowers enhance or heighten the appeal of the event itself. 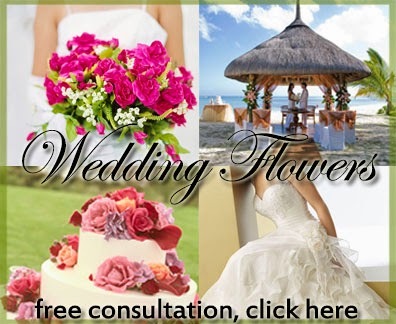 Flower arrangements for weddings lend subtlety, depth, and meaning to these sort of occasions, so it is necessary that you pick the right design to bring the right mood to your own wedding. l The floral arrangements must be done by professional florists. As has been sufficiently underscored in the previous paragraphs, the need to get everything right couldn't be stressed any further. When shopping for arrangements, check out samples and finished products to gauge their quality and look. Don't just settle for choices presented to you via a catalogue. Ask for the real thing. If none of the pre-existing designs appeal to you, you can always have a customized bouquet done for you. l Promptness of delivery must never be taken for granted. Given that you are working with tight deadlines, there is very little room for delayed deliveries. On top of the actual designs and arrangements, promptness is also a great way of displaying professionalism and commitment to clients' needs. l And finally, always be on the lookout for value for money. Quality flower arrangements for weddings should not have to burn a hole through your pocket. Ensure that you get your money's worth. If you ever find yourself in Moreno Valley in California and you need flowers for an occasion, say a wedding, Garden of Roses comes as a top choice. Visit their website at www.gardenofroses.us to check out our gallery of floral designs.